This week, Medicare released its new hospital rating system, The Hospital Compare Overall Hospital Quality Star Ratings. Using this system, Medicare rates hospitals by their quality using a 5 star system with 1 representing the lowest quality hospital and 5 representing the highest quality hospital. In reviewing the methodology, I believe that Medicare has failed epically. The Comprehensive Methodology Report published by Medicare details exactly how these quality measures are incorporated into the final rating. I would challenge anyone reading this blog to read the report and try to understand it. It is incomprehensible. From the ratings, 2.2% of U.S. hospitals got a 5-star rating, 20.3% a 4-star rating, 38.5% a 3-star rating, 15.7% a 2-star rating, 2.9% a 1-star rating, and 20.4% were unrated. So here is the problem. 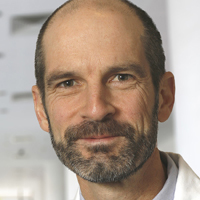 By using mortality measures as one of the main determinants of the rating system, hospitals that take care of sicker patients are going to be ranked lower; for example, tertiary care hospitals, those that have a high percentage of their inpatients admitted through emergency departments, and those that do higher risk procedures such as coronary artery bypass and graft surgery will be ranked lower simply because of the population of patients that they care for. Even more concerning is the use of 8 quality measures that have to do with readmissions. It is well-established that risks for readmission to the hospital within 30 days of discharge is correlated with lower income patients, older patients, socioeconomically disadvantaged racial groups, and availability of primary care physicians in the community. Hospitals that care for these patients will have a lower ranking. When the rankings of U.S. hospitals was released this week, there were some surprising (or maybe not so surprising) findings. Hospitals that do not manage complex patients and those that do not do high-risk procedures and surgeries fared very well and were highly ranked. Hospitals that care for the underserved and care for more medically complex patients fared poorly and were ranked very low. 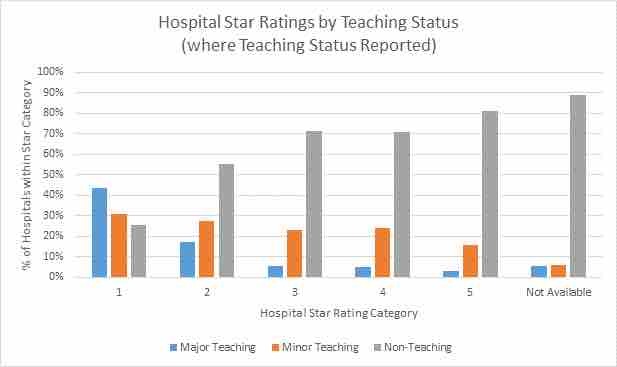 As an example, academic teaching hospitals were uniformly ranked low whereas non-teaching hospitals (which tend to manage less medically complicated patients) were ranked quite highly. The Ohio State University Medical Center came in at a 3-star rating which puts it among the top-performing academic medical centers in the nation but I know those other academic medical centers and they are not poor quality hospitals. Eliminate the emergency room. You must avoid sick patients from being in your hospital at all costs and since sick patients come to the emergency room, if you don’t have one, those undesirable patients will go elsewhere. Do not allow any patient > 65 years old to be admitted to your hospital. First, if the patients are not over 65, they likely won’t have Medicare so Medicare will not track them and second, patients over 65 are more likely to be sicker so you do not want them in your hospital. Do not admit anyone with an income of less than $24,250 per year. This is the Federal poverty limit for a family of 4 in the United States. Many studies have shown that patients with lower income have higher 30-day readmission rates. Therefore, make them go elsewhere. Do not admit patients who belong to socioeconomically disadvantaged races. These patients have also been shown to have higher 30-day readmission rates to the hospital. African Americans, Hispanic Americans, and Native Americans should be told to go elsewhere if your hospital wants to be ranked higher by Medicare. Stop taking trauma patients and close your trauma center if you have one. If you have an obstetric unit, only take care of wealthy women. Since one of the measures is “Elective delivery prior to 39 completed weeks gestation” and it is known that socioeconomically disadvantaged women have a higher premature birth rate, a hospital wanting to improve its Medicare ratings should not deliver disadvantaged women. Preferably, your hospital should only deliver upper class, non-smoking, caucasian women between the ages of 18-35 with a body mass index of < 30 and no diabetes, no prior history of pre-eclampsia, and no history of being physically or sexually abused. Do not permit twins or triplets to be delivered at your hospital. Fire anyone who works in your hospital who refuses to get a flu shot. “Healthcare personnel influenza vaccination” is one of the quality measures so if your nurses or doctors don’t get a vaccine, get rid of them in order to improve your rating. Get rid of all trainees such as residents, medical students, and fellows since hospitals with trainees have a substantially worse rating by Medicare’s criteria. Above all, do not ever, ever, ever admit patients with chronic pain such as patients with sickle cell anemia or chronic wounds. “Pain management” is one of the quality measures and specifically it revolves around how well pain was controlled. As an alternative, an equally effective strategy is to prescribe ad lib oxycontin to any patient who asks for it in order to improve the pain questions on the Medicare-required patient questionaires. Obviously, this is absurd. Hospitals exist to take care of sick patients and those hospitals that care for the sickest patients and those that are the most socioeconomically disadvantaged have been unfairly penalized by the new Medicare star ranking system. At best, this system is flawed. 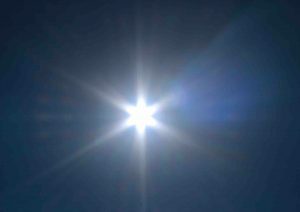 At worst, it is discriminatory on a racial, economic, and age basis.